Add Live Streaming and new functions for still image shooting mode. 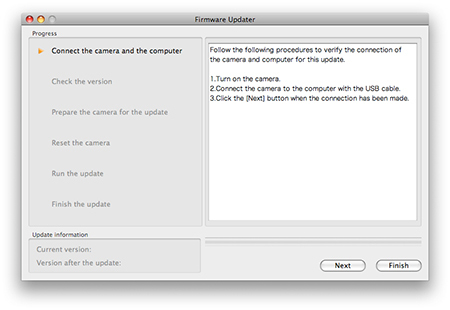 * In order to use Live streaming function, it is required to download the software "Network Setting Tool" and input settings to camera. 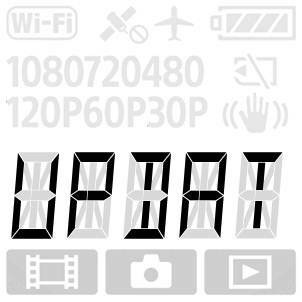 For details, please refer to "Streaming videos on USTREAM". 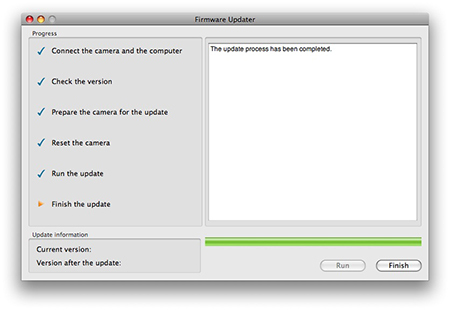 The download of the [Update_HDRAS100VV200.dmg] file will start. 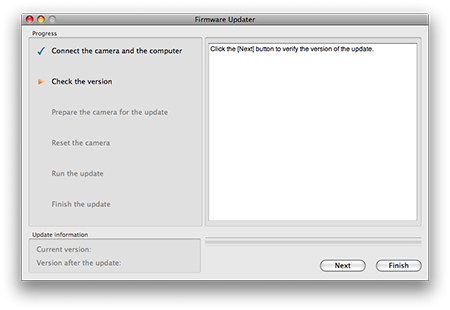 Once the file has downloaded successfully, you're ready to install the Firmware update Ver.2.00 for HDR-AS100V. 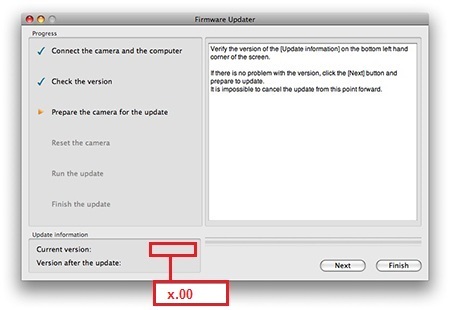 Double-click the [Update_HDRAS100VV200.dmg] file you downloaded. 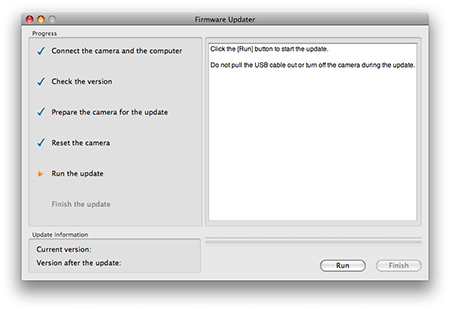 Do not connect the camera at this point. 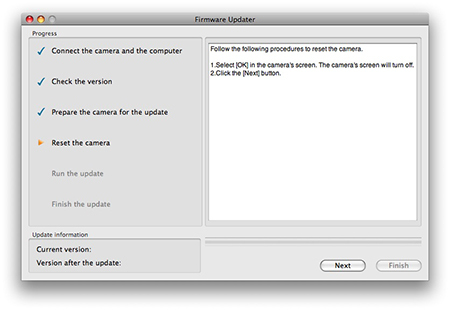 Note: In order to use Live Streaming function, it is required to download additional PC software "Network Setting Tool" to input the settings to the camera. For details, please refer to "Streaming videos on USTREAM" http://support.d-imaging.sony.co.jp/www/download/apps/nst/mac/en.html. Press the NEXT button to display [LIVE]. 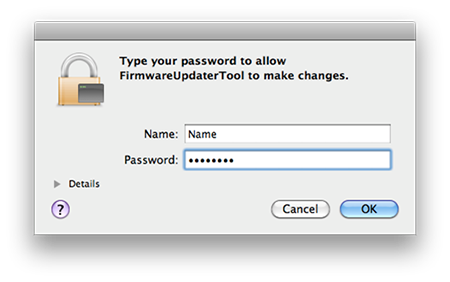 If [LIVE] appears then the firmware version is Ver.2.00.